Most architectural photography these days is about capturing a building's "hero shot," that single perfect image and angle where the light flits through the glass and, for a second, real life looks like a perfectly executed digital rendering. These are not those photos. Every year the construction industry's Chartered Institute of Building holds an architectural photography competition that looks for images that aren't necessarily the most perfect depiction of architecture—but that expose the real lives of structures and, as it calls its contest The Art of Building. It's a charming competition, and it's open to anyone—which means the results are extraordinarily diverse, compared to other yearly architectural photography awards that typically cater to well-known names. Check out a few of the nominees below with comments by the photographers who shot them—and vote for the finalists here. "The multiple layers created by this architectural form with a human attending to it as if carefully repositioning the triangle shapes herself." "A Muslim man is deep into his thoughts on a roof of a building surrounded by other buildings. Access to a roof in Dhaka is not always possible for people as the owners don't allow tenants to go up." "I really loved the light coming down the centre of the Library building. I saw two young kids and just waited for the moment." "Giuseppe Perugini was a famous architect who built very modern home decades ago in the heart of Fregene, Italy. Since his death, the home is abandoned. Here is a woman gazing through a small window in the bathroom." "Thousands of families have made a city's graveyard their home as authorities grapple with rising population and housing shortage. Depressing community where hapless residents call this place a home among the dead." 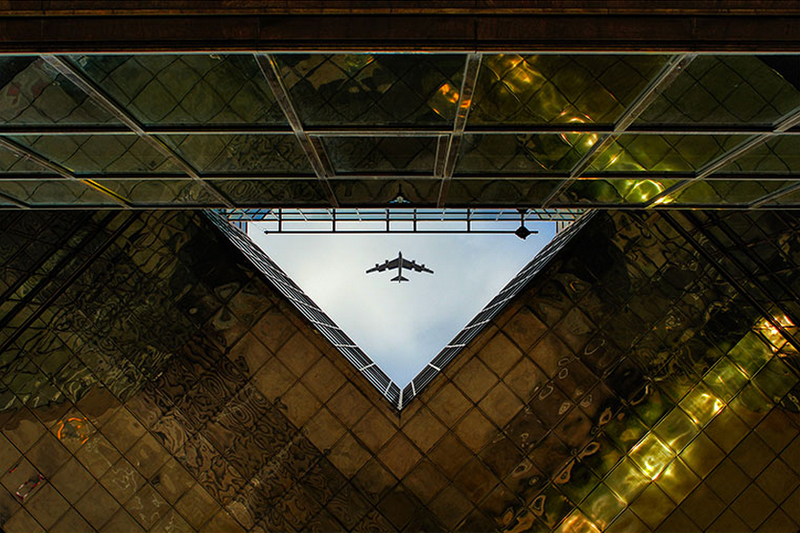 "This picture is a low angle shot of a beautiful building in London. Good place, right time." "The people are working near a hot fire to burn the bricks. To make a single brick is not as easy as we think." "Beijing National Stadium is an eye-catching state of the art structure. The stadium is a work of exceptional design and proves to be a mind-boggling complex artefact as you get up close." "This mosque is a religious icon not only for Abu Dhabi but also for the Islamic world of UAE."